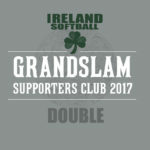 Softball Ireland are delighted to announce the launch of the Softball Ireland GRANDSLAM Supporters Club which will be used to promote softball in Ireland and provide greatly appreciated financial support to Ireland’s National Team programmes competing in international competitions. Team Ireland Slowpitch and Fastpitch Softball Programmes are fully self-funded by Players. Want more benefits? Click more benefits to see what’s available. 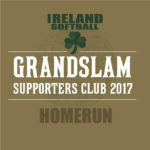 Are you a member of Softball Ireland? Enjoy a 10% discount on your membership packages!